ALT Linux GNOME is a freely distributed and open source Linux-based operating system that uses the GNOME desktop environment and it’s based on Mandriva Linux. ALT Linux is an independent Russian Linux distribution that provides support for multiple languages, it is very fast, clean of unneeded apps, and distributed into multiple editions with various open source desktop environments like Cinnamon, MATE, KDE, Xfce, LXDE, Razor-qt, IceWM and WindowMaker. This edition comes with two Live CD ISO images, one for each of the supported hardware platforms (32-bit and 64-bit), designed to run directly from a USB flash drive or CD disc. If you choose to deploy ALT Linux GNOME on a USB stick, it will provide you with a persistent mode, which can be used your live session (save system configuration and downloaded files) directly on the USB thumb drive and reuse it whenever you want. The boot menu is exactly the same as the ones used on other ALT Linux flavors, enabling users to boot an existing operating system or run a memory test. 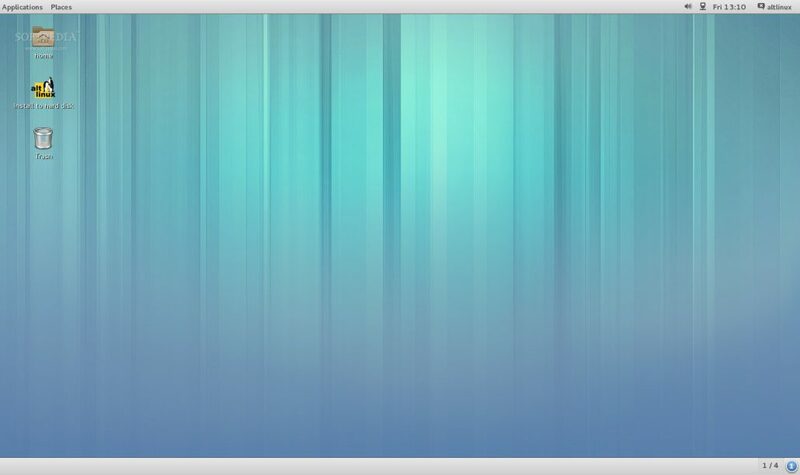 The GNOME desktop environment defaults to the Fallback (Classic) session and provides users with two panels. While the bottom one can be used to manage running apps and switch virtual workspaces, the top panel is used for accessing the main menu and launch applications. Default applications include the Epiphany and Mozilla Firefox web browsers, Empathy instant messenger, Eye of GNOME image viewer, Evince document viewer, Rhythmbox music player, Totem video player, and Evolution email/groupware client. The Brasero CD/DVD burning software, Midnight Commander file manager, Cheese webcam viewer, and Synaptic Package Manager are also installed, along with all the default GNOME games. Overall, we recommend this edition of the ALT Linux operating system for low-end machine and for nostalgics who still want to use a traditional desktop environment in the 21st century.